At Today's Dentistry, we value our patient relationships, making it our priority to deliver gentle compassionate care that you deserve from a dentist in Chicago. We work hard to make you feel at ease by providing exceptional patient care in a relaxed, convenient atmosphere. We strive to develop lifelong relationships with our patients by combining the latest dental technology with a professional and compassionate staff. The result is a beautiful, healthy smile that lasts a lifetime. Has been in private practice in the Andersonville neighborhood since graduating from the University of Illinois Dental School in 1987. 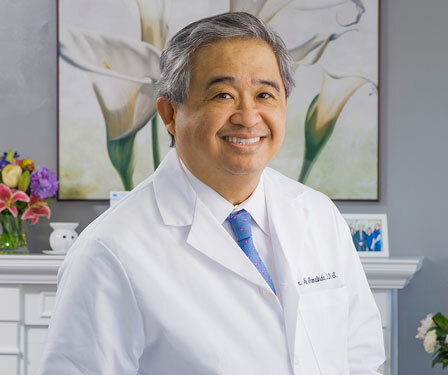 Dr.Gamalinda is a member of the American Dental Association, Illinois State Dental Society, Chicago Dental Society and the American Acadamy of Cosmetic Dentistry. He is committed to providing the best quality care for his patients, and invests in the latest technology for diagnostic and treatment capabilities. He cares about his patient's needs and well being. His goal is to build long-term relationships between our staff and our patients so that our practice can provide quality services the whole family can afford in a healthy environment. Dr. Gamalinda enjoys reading, running, playing the piano and spending time with his wife and three children.